Find your major and learn the specifics about Jazz Arts prescreening and auditions by degree level. Scroll down the page to find what you need to know about auditions and prescreening. You are required to submit a video recording for either acoustic or electric bass to be considered for an invitation to a live audition. If you wish to be considered for both, you should submit two applications and submit separate recordings for each. Your repertoire should demonstrate your ability to improvise and play with a rhythm section, using a live band or play-along recording. Recordings must include the repertoire listed below and be uploaded directly to your application. Professional or studio recordings are not required, but the sound quality should be as good as possible. Original compositions should not be included. Three additional selections in different jazz styles, moods, keys, and tempos (minimum of two improvised choruses for each selection). One of the additional selections must be a ballad. One improvised chorus will be sufficient for the ballad. Please note: Jazz Composition is only offered at the Graduate (MM) level. You must submit scores and an edited recording of at least four large ensemble pieces, at least one of which can be for studio orchestra or a chamber-sized ensemble. One of the four pieces must include a vocal part or a vocal ensemble, and a MIDI-realized work is optional. Recordings should be uploaded directly to your application. The single 10- to 12-minute edited recording containing all submitted pieces should include only the written (composed) portions of the work. Improvised sections are not to be included. This recording should be accompanied by a PDF copy of each of the scores represented. You may submit other scores as well. You must also upload a video of your playing to your application. This recording must include the 12-bar blues piece Billie’s Bounce in medium tempo (minimum of four improvised choruses) and two additional pieces in contrasting styles, tempos, and keys. Professional or studio recordings are not required, but the sound quality should be as good as possible. You must demonstrate an ability to improvise and play with a rhythm section, using a live band or play-along recording. An exam and an audition/interview take place over a two-day period. There is no performance component. You will be asked to take a three-hour written entrance examination on various theoretical and practical matters pertaining to musical composition. The exam also includes a composition assignment. A piano will be provided to use during the exam. At an interview with the Jazz composition faculty you will present three copies of your compositions and recordings. Recordings should be presented either with a CD or a device that can be patched into a stereo system (iPod, iPhone, laptop, etc.). You are required to submit a video recording that includes the repertoire below. Recordings must be uploaded directly to your application. Professional or studio recordings are not required, but the sound quality should be as good as possible. Repertoire must demonstrate the ability to improvise and play with a rhythm section using a live band. Sticks and brushes should be clearly distinguishable on the recording. Original compositions should not be included. Required piece (must be first on the recording): the 12-Bar Blues piece, Billie’s Bounce in medium tempo. Must include playing time for at least four choruses behind a soloist and at least two choruses of drum solo. A medium tempo selection or a ballad demonstrating ability to perform with brushes. Two additional selections in different jazz styles, moods, and tempos. Each selection must include at least three choruses of playing time behind a soloist and at least two choruses of trading fours, eights, and/or soloing. Auditions are approximately 10 minutes in length. You will choose a first work and the faculty will choose a second and possibly third work from repertoire you provide. Undergraduates should provide three additional tunes, graduates ten. You should also bring a typed list of your entire jazz repertoire. One copy is sufficient. Rhythm section and amplifiers will be provided, but you must provide music for the rhythm section. Drum set (without cymbals) will be provided for the auditions. You must bring your own cymbals, drumsticks, and hi-hat clutch. You may provide your own rhythm section players if you choose. Play-along recordings are not acceptable. A basic theory test given prior to scheduled audition time (will take approximately 15 minutes). Demonstrate ability to improvise and play with a rhythm section. Three different selections (one must be a ballad) in different jazz styles, moods, and tempos. Demonstrate ability to improvise and play with a rhythm section at a graduate level of advancement. You are required to submit a video recording for prescreening purposes to be considered for an invitation to a live audition. The recording must include the 12-Bar Blues piece, Billie’s Bounce in medium tempo (minimum of four improvised choruses) and three other selections (one must be a ballad) in different jazz styles, moods, keys, and tempos (minimum of two improvised choruses for each selection). You must also demonstrate “comping” on a standard song of your choice. Original compositions should not be included. Prescreening recordings must be uploaded directly to your application. It is not required that the format be a professional or studio recording, but the sound quality must be as good as possible. Auditions are approximately 10 minutes in length. You will choose a first work and the faculty will choose a second and possibly third work from repertoire you provide. Undergraduates should provide three additional tunes, graduates ten. You should bring a typed list of your entire jazz repertoire to the panel. One copy is sufficient. Rhythm section and amplifiers will be provided, but you must provide music for the rhythm section. Play-along recordings are not acceptable for a live audition. A basic theory test given prior to scheduled audition time will take approximately 15 minutes. Three different selections (one must be a ballad) in different jazz styles, moods, keys, and tempos. Ten selections (including two ballads) in different jazz styles, moods, keys, and tempos performed from memory. You are required to submit a video recording to be considered for an invitation to a live audition. The recording must include the 12-Bar Blues piece, Billie’s Bounce in medium tempo (minimum of four improvised choruses) and three other selections (one must be a ballad) in different jazz styles, moods, keys, and tempos (minimum of two improvised choruses for each selection). You must also demonstrate “comping” behind a soloist on at least one of these selections. Original compositions should not be included. It is not required that the format be a professional or studio recording, but the sound quality must be as good as possible. Repertoire for the prescreening recording must demonstrate the ability to improvise and play with a rhythm section, using a live band or play-along recording. Live performances are acceptable only if they are edited to feature the applicant. Auditions are approximately 10 minutes in length. You will choose a first work and the faculty will choose a second and possibly third work from repertoire you provide. Undergraduates should provide three additional tunes, graduates ten. You should also bring a typed list of your entire jazz repertoire to the panel. One copy is sufficient. Rhythm section and amplifiers will be provided, but you must provide music for the rhythm section. Play-along recordings are not acceptable for a live audition. A basic theory test given prior to scheduled audition time will take approximately 15 minutes. All Jazz Saxophone, Clarinet, Harmonica, and Flute applicants are required to submit a video recording for in order to be considered for an invitation to a live audition. The recording must include the 12-Bar Blues piece, Billie’s Bounce in medium tempo (minimum of four improvised choruses) and three other selections (one must be a ballad) in different jazz styles, moods, keys, and tempos (minimum of two improvised choruses for each selection). Original compositions should not be included. It is not required that the format be a professional or studio recording, but the sound quality must be as good as possible. Repertoire for the prescreening recording must demonstrate the ability to improvise and play with a rhythm section, using a live band or play-along recording. All Jazz Trombone applicants are required to submit a video recording for in order to be considered for an invitation to a live audition. The recording must include the 12-Bar Blues piece, Billie’s Bounce in medium tempo (minimum of four improvised choruses) and three other selections (one must be a ballad) in different jazz styles, moods, keys, and tempos (minimum of two improvised choruses for each selection). Original compositions should not be included. It is not required that the format be a professional or studio recording, but the sound quality must be as good as possible. Repertoire for the prescreening recording must demonstrate the ability to improvise and play with a rhythm section, using a live band or play-along recording. All Jazz Trumpet and Horn applicants are required to submit a video recording for in order to be considered for an invitation to a live audition. The recording must include the 12-Bar Blues piece, Billie’s Bounce in medium tempo (minimum of four improvised choruses) and three other selections (one must be a ballad) in different jazz styles, moods, keys, and tempos (minimum of two improvised choruses for each selection). Original compositions should not be included. It is not required that the format be a professional or studio recording, but the sound quality must be as good as possible. Repertoire for the prescreening recording must demonstrate the ability to improvise and play with a rhythm section, using a live band or play-along recording. All Jazz Trumpet and Horn applicants are required to submit a video recording for in order to be considered for an invitation to a live audition. The recording must include the 12-Bar Blues piece, Billie’s Bounce in medium tempo (minimum of four improvised choruses) and three other selections (one must be a ballad) in different jazz styles, moods, keys, and tempos (minimum of two improvised choruses for each selection). You must also demonstrate “comping” on a standard song of your choice. Original compositions should not be included. It is not required that the format be a professional or studio recording, but the sound quality must be as good as possible. Repertoire for the prescreening recording must demonstrate the ability to improvise and play with a rhythm section, using a live band or play-along recording. Auditions are approximately 10 minutes in length. You will choose a first work and the faculty will choose a second and possibly third work from repertoire you provide. Undergraduates should provide three additional tunes, graduates ten. You should bring a typed list of your entire jazz repertoire to the panel. One copy is sufficient. Rhythm section and a vibraphone will be provided, but you must provide music for the rhythm section. Play-along recordings are not acceptable for a live audition. A basic theory test given prior to scheduled audition time will take approximately 15 minutes. All Violin, Violin, and Cello applicants are required to submit a video recording for in order to be considered for an invitation to a live audition. The recording must include the 12-Bar Blues piece, Billie’s Bounce in medium tempo (minimum of four improvised choruses) and three other selections (one must be a ballad) in different jazz styles, moods, keys, and tempos (minimum of two improvised choruses for each selection). Original compositions should not be included. It is not required that the format be a professional or studio recording, but the sound quality must be as good as possible. Repertoire for the prescreening recording must demonstrate the ability to improvise and play with a rhythm section, using a live band or play-along recording. Please note: Jazz Voice is only offered at the Graduate (MM) & Doctoral (DMA) levels. All Jazz Voice applicants are required to submit a video recording in order to be considered for an invitation to a live audition. The recording must include the repertoire listed below. Prescreening recordings must be uploaded directly to your application. It is not required that the format be a professional or studio recording, but the sound quality must be as good as possible. Repertoire for the prescreening recording must demonstrate the ability to improvise and play with a rhythm section, using a live band or play-along recording. Original compositions should not be included. Standard ballad; first eight bars sung a cappella, then in a ballad tempo (accompanied). Auditions are approximately 10 minutes in length. You will choose a first work and the faculty will choose a second and possibly third work from repertoire you provide. Undergraduates should provide three additional tunes, graduates ten. You should bring a typed list of your entire jazz repertoire to the panel. One copy is sufficient. Rhythm section and amplifiers will be provided. In addition, a microphone and vocal monitor will be provided. Applicants must provide music for the rhythm section. Auditioning students may provide their own rhythm section players if they choose. Applicants with piano skills are encouraged to accompany themselves. Play-along recordings are not acceptable for a live audition. A basic theory test given prior to the audition will take approximately 15 minutes. 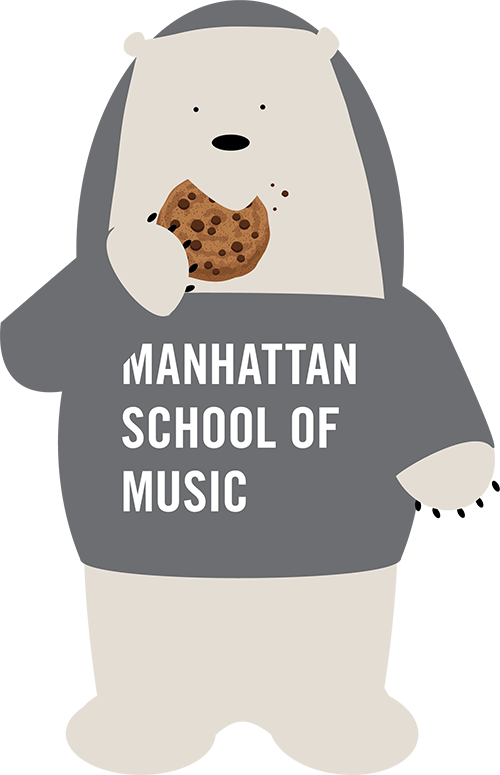 Admission to the Doctor of Musical Arts degree program is based on an audition before the faculty of the candidate’s major department; the results of a two-hour written examination in jazz history and theory; and an interview with the doctoral committee. Students for whom English is not the native language are required to take the standardized TOEFL (Test of English as a Foreign Language) and achieve a score of at least 100 iBT. Jazz DMA applicants are required to submit copies of two scores and recordings of large ensemble compositions. At least one score must be for big band. The other score may be for any ensemble larger than an octet. At least one recording must be a live performance. The other can be a MIDI realization. You should upload audio recordings and PDFs scores directly to your application. Applicants are also required to upload video recordings that demonstrate the ability to perform at a high artistic and professional level, using a live band. Recordings should include three selections performed in different jazz styles, moods, keys, and tempos and be uploaded directly to the application. Applicants must complete the composition, performance, and pedagogy audition requirements; the additional audition requirements will be a callback. One original work utilizing MIDI or computer electronic sources. This piece may be for electronic sound sources only, or combination of electronic and acoustic instruments. If a prospective student has no access to MIDI or does not work with electronic media, an additional original acoustic piece for large ensemble of their choice may be substituted for this requirement. Demonstrate ability to improvise and play with a rhythm section at a professional level of advancement. Prepare ten selections (including two ballads) in different jazz styles, moods, keys, and tempos to be performed from memory. You will present to the faculty panel a written outline for a one-hour lecture or master class on a topic of your choice. From that outline, you will present a 20-minute sample lecture that demonstrates your teaching skills. You will specify the target audience as either Kindergarten through 8th grade, high school, undergraduate, or graduate ability and experience. Available resources for this component include audio equipment, whiteboard, and a piano. Any handouts must be prepared, copied, and collated in advance of the sample lecture.